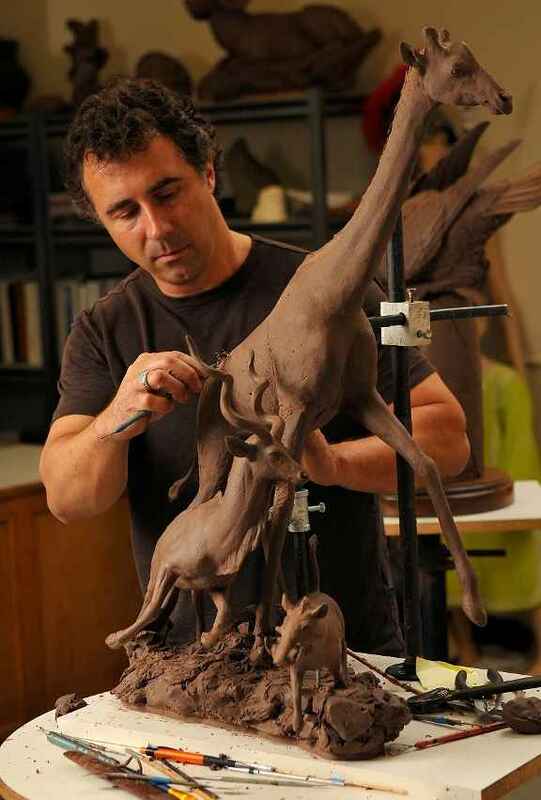 Brilliantly capturing and interpreting through bronze sculpture the beauty of the natural world; Rip Caswell is widely recognized and celebrated as one of America’s preeminent bronze sculptors. Rip has dedicated his life to expressing his love of nature, wildlife, and the human form through his art. Rip Caswell’s artworks can be found in public spaces and private collections throughout the U.S. and abroad, with numerous awards and honors highlighting a distinguished body of work which has established him as one of the country’s most respected bronze sculptors. With dozens of prestigious awards and honors to his name, Rip Caswell’s work is highly sought after and has been displayed in both the Smithsonian Institution in Washington D.C. and the Pentagon. Many of Rip’s most celebrated works have been commissions for civic spaces and monument-sized outdoor pieces, and commissioned works are currently on display in public spaces, buildings and museums across the United States. Rip’s work also continues to attract more and more attention from personal collectors, and is popular with everyone from the casual gallery buyer to devotees of traditionally crafted bronze artworks.